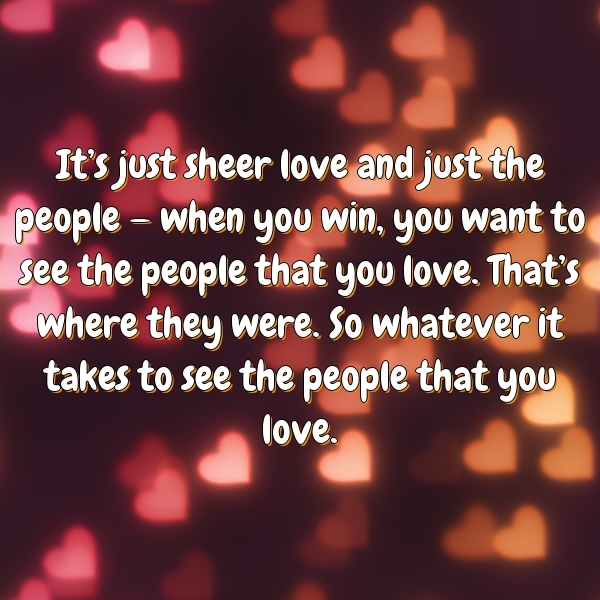 It's just sheer love and just the people -- when you win, you want to see the people that you love. That's where they were. So whatever it takes to see the people that you love.